This week the grade 12 students finished their studies on complex numbers. 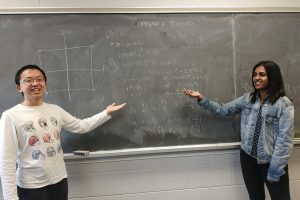 They learned how to perform computations on complex numbers, and how to represent these values in Cartesian, polar, and exponential form. Most importantly though, was the understanding that complex numbers are just as “real” as real numbers are.